Measures in 2019 session would add Border collies as state dog and basin wildrye as official state grass. Oregon has an official state animal (the beaver). It has a state tree (Douglas-fir). It has a state mushroom (golden chanterelle). It even has a state fossil (a fern-like Metasequoia). You know what Oregon doesn't have? A state dog. You know what else it doesn't have? A state grass. That could change. Two measures introduced in the 2019 legislative session that began Tuesday, Jan. 22, add a state dog and a state grass to the nearly two dozen official state symbols. House Concurrent Resolution 7, introduced by state Rep. Lynn Findley of Vale, designates the Border collie as the official state dog. Senate Concurrent Resolution 5, introduced by state Sen. Cliff Bentz of Ontario, designates basin wildrye as the official state grass. A separate measure, House Concurrent Resolution 12, would make rescued shelter dogs and cats the official state pet. Nearly two dozen members of the House and Senate sponsored the bill that was introduced Monday, Jan. 28. It has not been referred to a committee for action. Under HCR 12, Oregonians would celebrate the "second chances" that rescued dogs and cat get when they find new homes. "Oregon is the land of the second chance, something every shelter dog or cat deserves," according to the bill. "Shelter dogs and cats remind us that second chances are worth it." 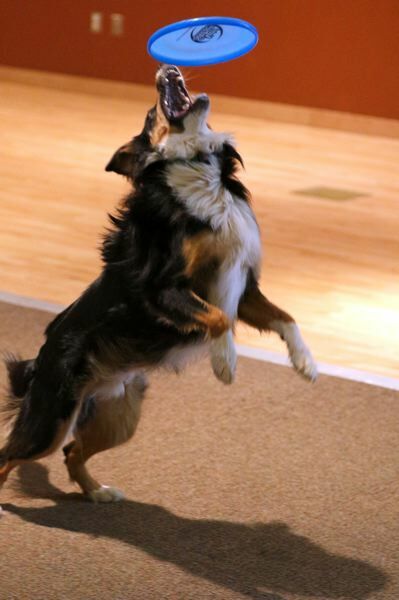 Findley's HCR 7 was requested by an Eastern Oregon constituent who has pressed lawmakers for years to make Border collies the official state dog. According to Findley's staff, the constituent is in poor health and didn't want to be identified. HCR 7 praises Border collies for their "strong work ethic and extraordinary ability to herd and control farm livestock." It also points out that Border collies played an important role as cattle and sheep ranches spread across Eastern Oregon in the mid-1800s. Border collies helped "build the West," according to the resolution. Leaders of the Oregon Sheep Dog Society, one of the largest organizations in the nation for owners of all types of working dogs (mostly Border collies and related breeds), were unaware of the efforts to crown a state dog. Dave Viklund, Oregon Sheep Dog Society past president, said the group had not yet taken an official stance on Findley's resolution. Dr. Cynthia Mills, a Hood River veterinarian and science writer who is president of the society, recommended that Findley make all breeds of working dogs the official state dog. "If I have a say in this, pick 'em all," she said. Mills has a Kelpie, a Kelpie-Border collie mix and a cattle dog (red heeler). "They're all very useful working dogs," she said. Kelpies, cattle dogs, Australian Shepherds and Border collies are "the down-to-earth, muddy and dusty" working dogs "seen on cattle and sheep operations everywhere," Mills said. Several states have official state dog breeds. Alaska has the Alaskan Malamute, thanks to the efforts by students at Polaris School in Anchorage who proposed the symbol in 2010. California, Colorado, Georgia and Illinois recognize "shelter pets" or "adoptable dogs" as their state dog. Maryland has the Chesapeake Bay retriever and Massachusetts has the Boston Terrier. New York recognizes "working dogs," like seeing-eye animals. Findley's resolution was referred to the House Rules Committee. No hearings or committee meetings have been scheduled on the resolution. 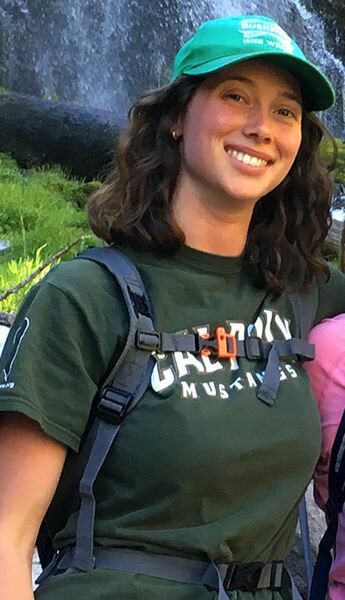 Oregon's official state grass was the dream of Danielle Clenet, who is working toward her masters' degree in rangeland ecology and management at Oregon State University. Clenet proposed the official state grass because, well, she's passionate about rangeland grass and the lessons it could offer, if only people would pay attention. "A state grass would encourage Oregonians to learn more about the variety of ecosystems and cultural history of our state," Clenet said. "Starting in grade school we learn to appreciate the Oregon state symbols and call them our own. We research them and learn how they give value to our economy and natural systems. We feel that including a state grass would help expand our understanding of what it means to be an Oregonian. Particularly it would help develop awareness of the region east of the Cascades, which frequently goes under-recognized." Basin wildrye (Leymus cinereus) would be a good example of a state grass, she said, because it grows in bunches up to 10 feet tall, is native to the west and its deep roots help stabilize soil. "It is also important to ranchers and wildlife enthusiasts, as it is one of the few grass species that protrudes above the snow and provides forage in winter months for large grazing animals," Clenet said. "No other state has yet claimed basin wildrye as a state grass, this gives us an opportunity to cement it as a defining part of our cultural heritage." This is the first time Clenet has suggested legislation on any topic, and she considers it a "passion project." 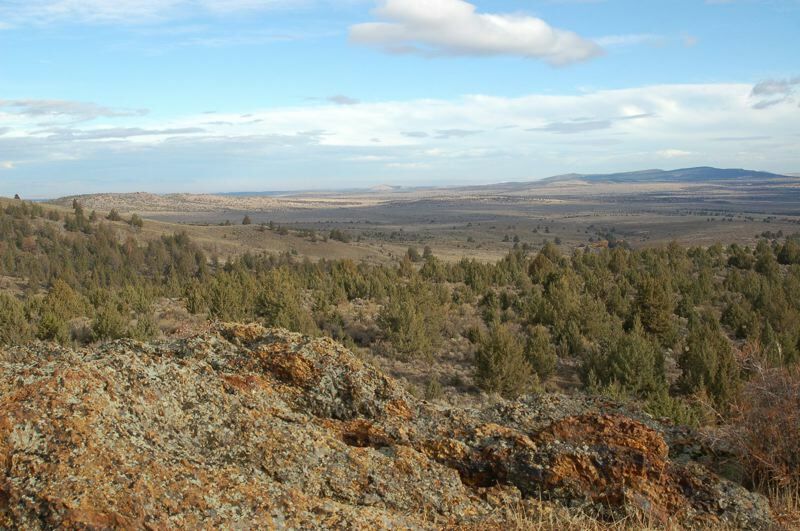 "I'd really love to have a state grass recognized because I feel like so many people overlook, or maybe don't even realize, how exciting and beautiful some of the 'barren' landscapes in Central and Eastern Oregon are," she said. "I feel that a state grass could help introduce people to these ideas and help them realize the importance and wonder of rangelands." California recognized Purple needlegrass as its official state grass. Washington has Western wheatgrass. Montana named Bluebunch wheatgrass as its official state grass. Nevada has Indian ricegrass. SCR 5 has been referred to the Senate Environment and Natural Resources Committee. No hearings or committee meetings have been scheduled on the resolution.